I know it's not a huge stretch of the imagination, but I watched (listened to?) Star Wars A New Hope just yesterday afternoon. While I'm not a huge fan of the "enhancements" (please Disney, release the original theatrical cut on Blu-Ray!) 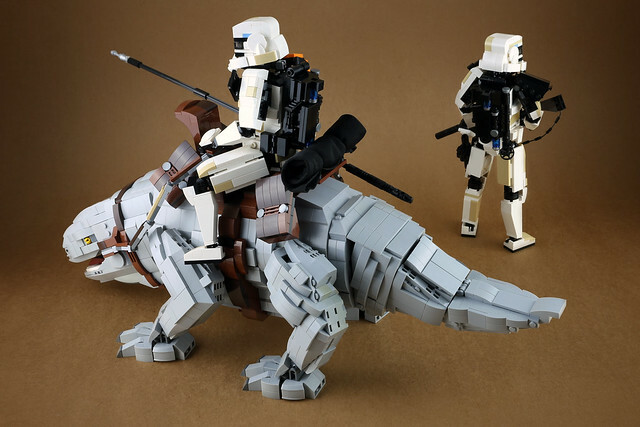 I do always have to look up from what I'm doing and watch the stormtroopers in the desert. 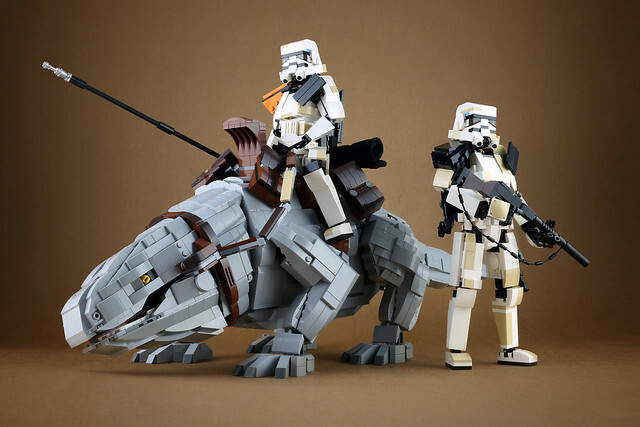 So this latest offering from LEGO 7 pleases me to no end, just look at that noble beast!